Bar owner Rick Wendell is murdered, a young man is found standing over the body wiping fingerprints off the gun. Insurance Investigator Dave Brandstetter become involves and digs deep and uncovers a mystery involving several relationships. This series evidently is the first to feature an openly gay P.I; all the relationships in this story are homosexual but this has nothing to actually do with the plot, which is weak, compared with several others I've read in the series. It's all a bit tedious. 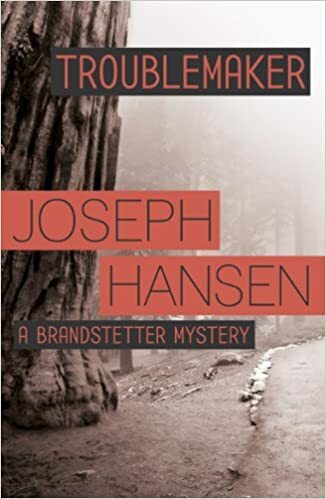 The story is a 'whodunnit' but Hansen has done it better.